A final 2-volume plan incorporating changes and responding to comments is now available. After a thirty day no-action period the NPS can complete planning with a Record of Decision. A summary plan is now available describing and illustrating the preferred alternative or proposed agency action. 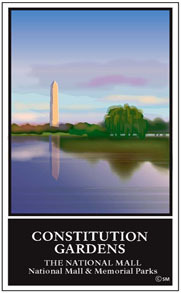 Final National Mall Plan/Environmental Impact Statement document pdf files for download. Please be aware that some of the files are somewhat large and may take some time to download, depending on your connection.